zollt, Author at Bennett & Co Ltd. 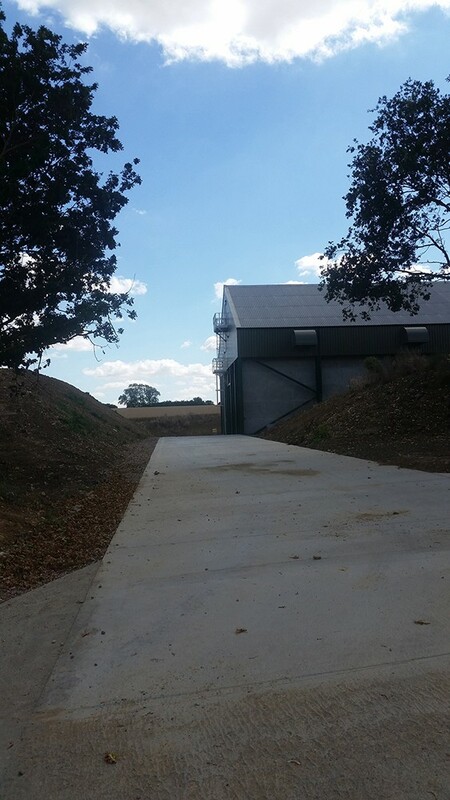 The client had two potato box stores with only refrigeration available for cooling the potatoes. 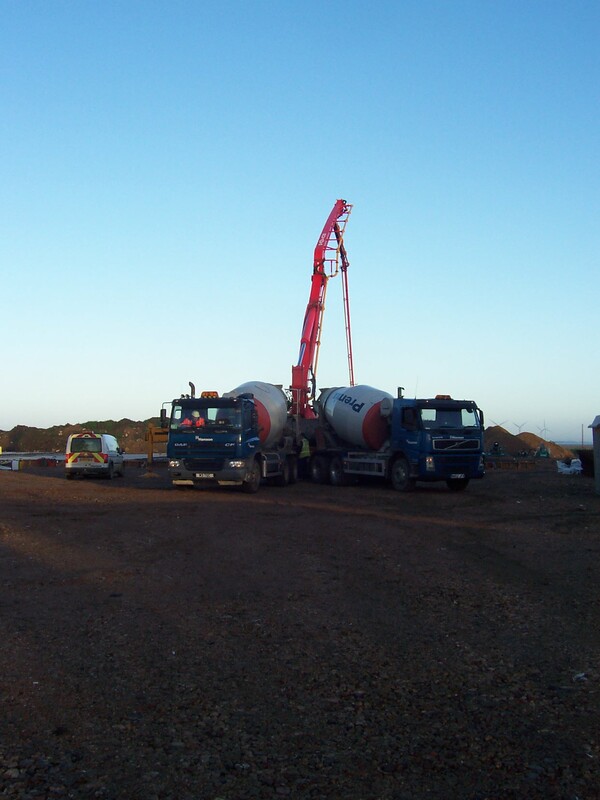 As the client is primarily growing for the processing market and storing at 8-10ºC. 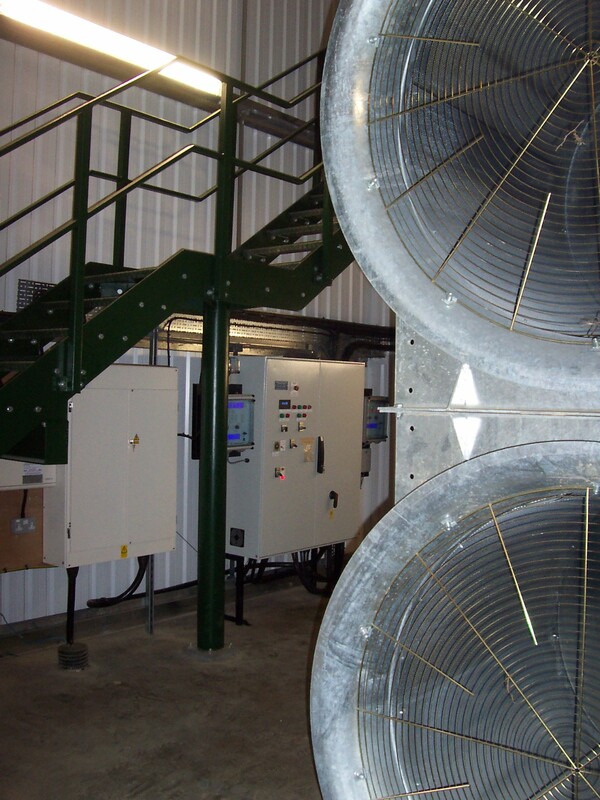 Their brief was for Bennett and Co to supply and install an ambient/recirculation ventilation system. 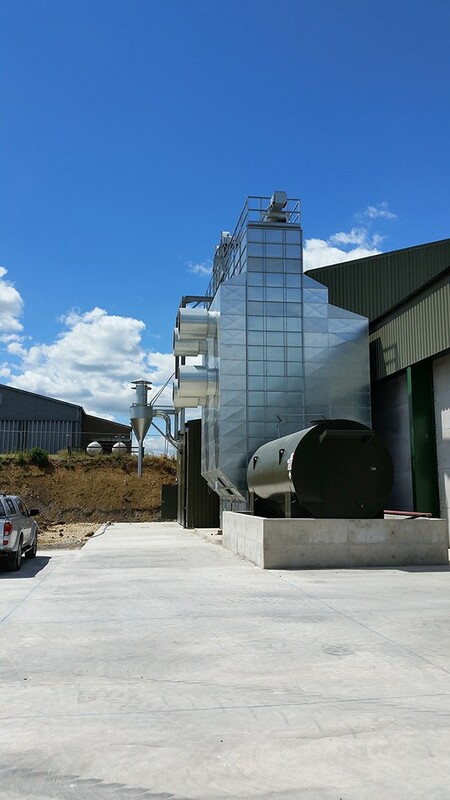 The stores had been modified previously with large fans in the rear wall with motorised louvres and suction walls to dry the crop. This had not worked very well and was no longer used. 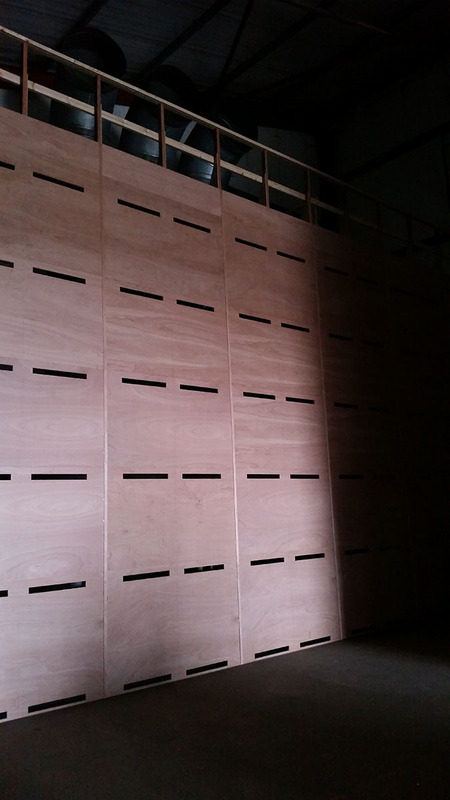 With the introduction of stricter controls on the use of CIPC the suction walls were retained and slots cut in them to create a more compact box layout without gaps between rows of boxes covered with PVC strips and to give an even airflow across the face of the wall. 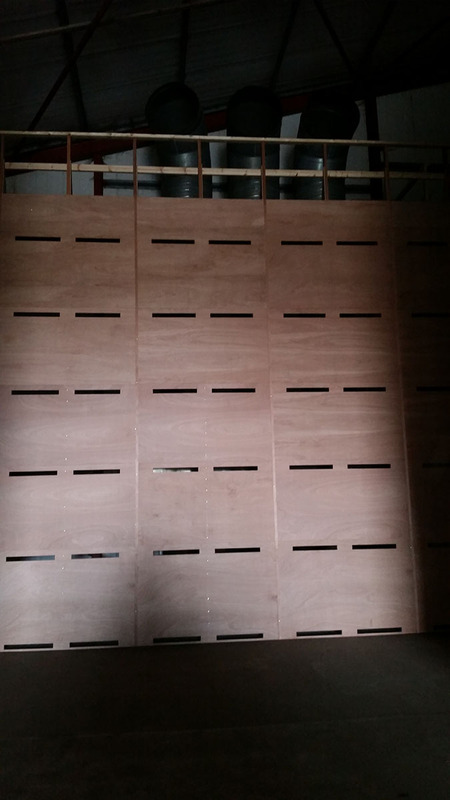 In addition, the fronts of the suction walls have timbers fitted to them to set the first row of the boxes away from the slots so that boxes of different heights can be used. 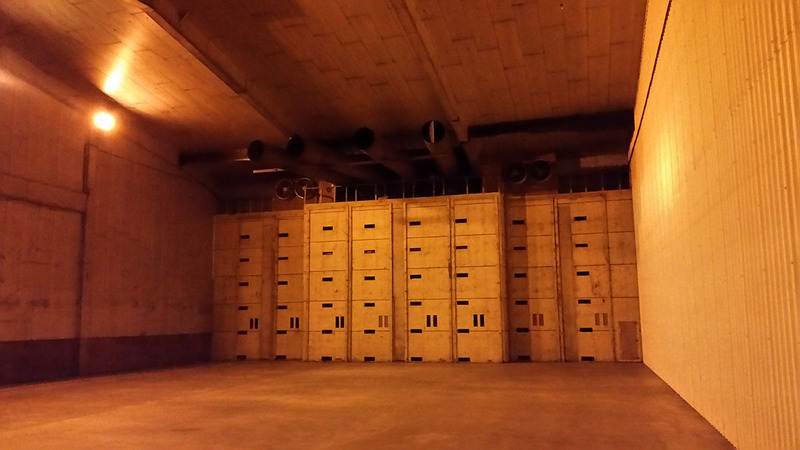 However, the existing suction walls do not allow for ambient/recirculation mixer boxes to be installed behind them. 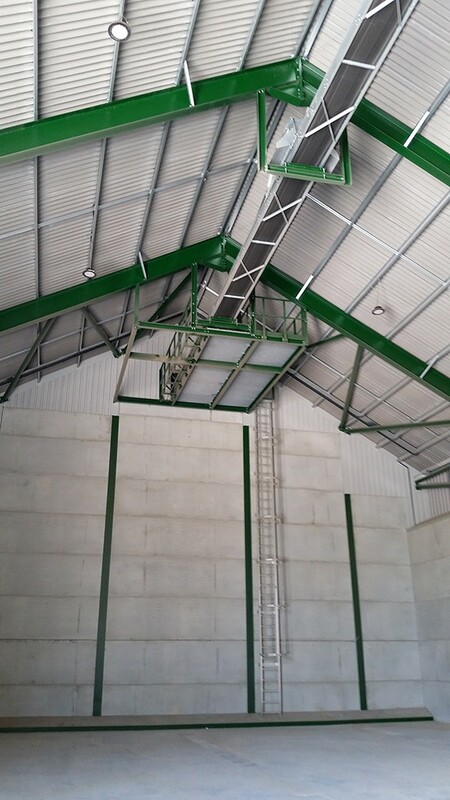 Therefore, mixer boxes with fans fitted on the front face were designed and installed on top of the rooves of the suction walls with recirculation louvres cut into the top of the suction walls and high level intake louvres in the rear wall of the building. 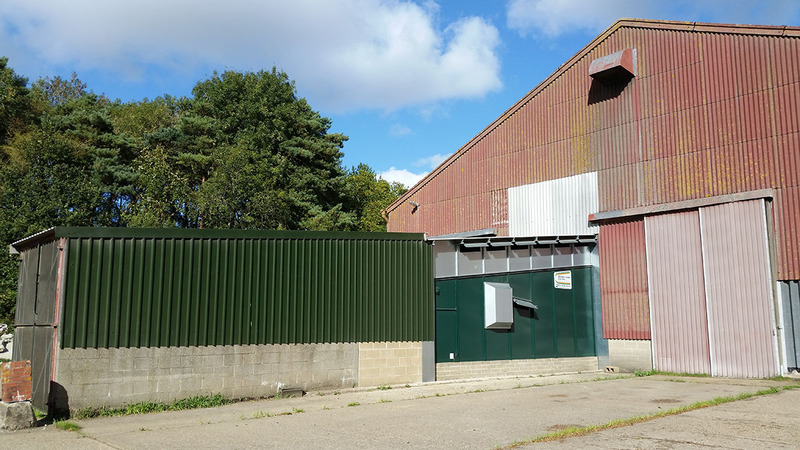 All the louvres were supplied by Farm Electronics including exhaust louvres installed at low level in the back wall of the store. 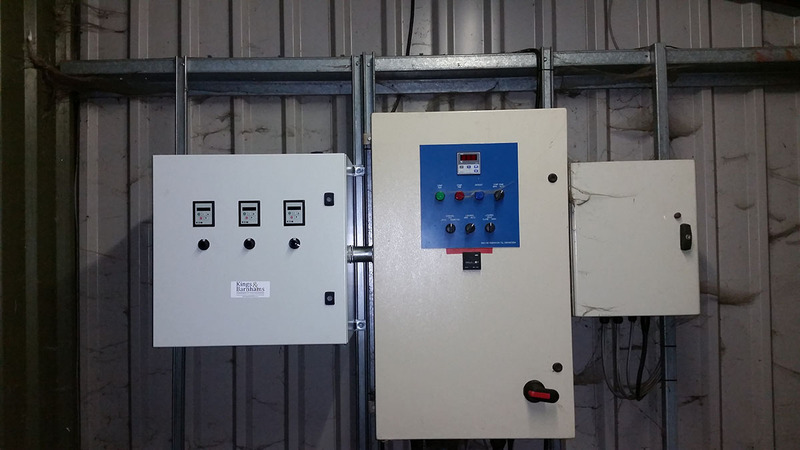 New Farm Electronics control panels were supplied with inverter controlled fans to allow for slow speeds when applying CIPC sprout suppressant. 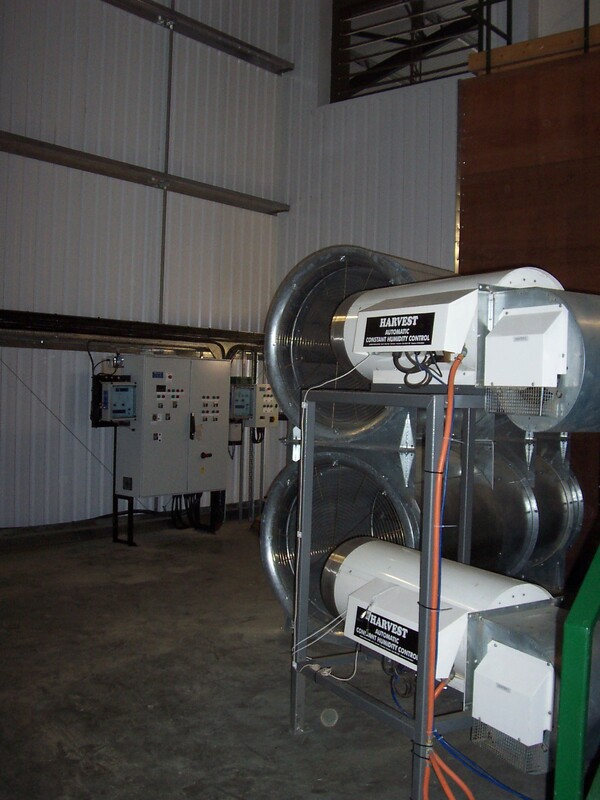 Temperature control, including control of the refrigeration is through Farm Electronics Crop Scan controllers. 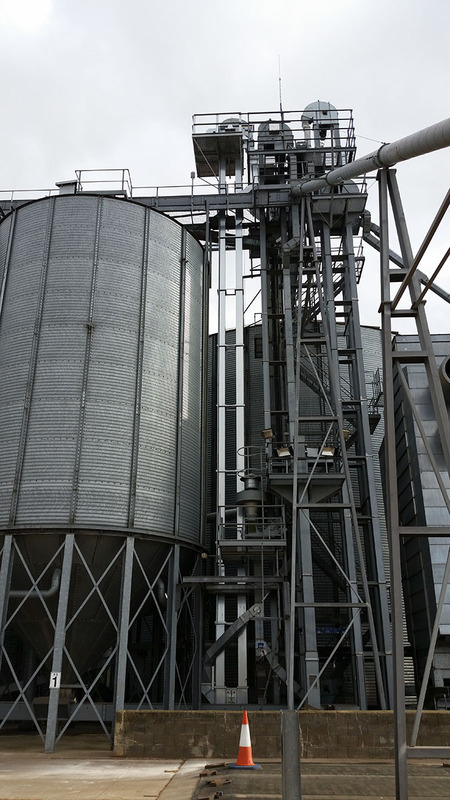 When harvest starts always presents difficulties with project management of new grain stores and ensuring that the new store is ready to accept grain. 2017 was no exception. 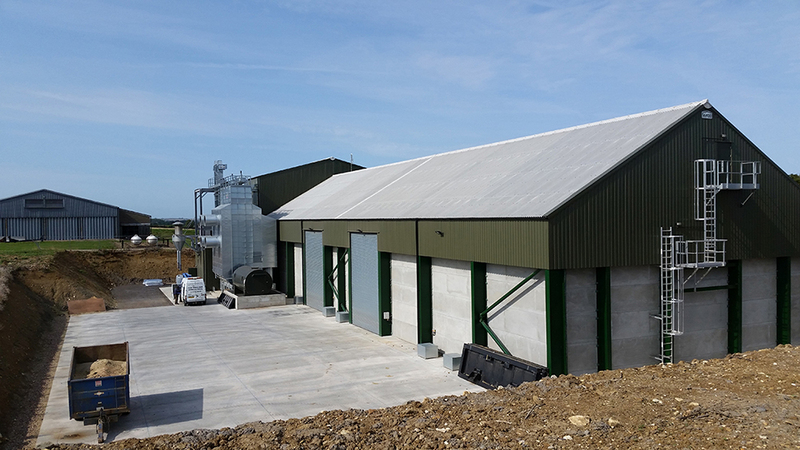 Much to the client’s relief Bennett and Co had his new 2000 tonne grain store ready for the date originally targeted despite the early start to harvest but also helped by the subsequent ‘catchy’ conditions. 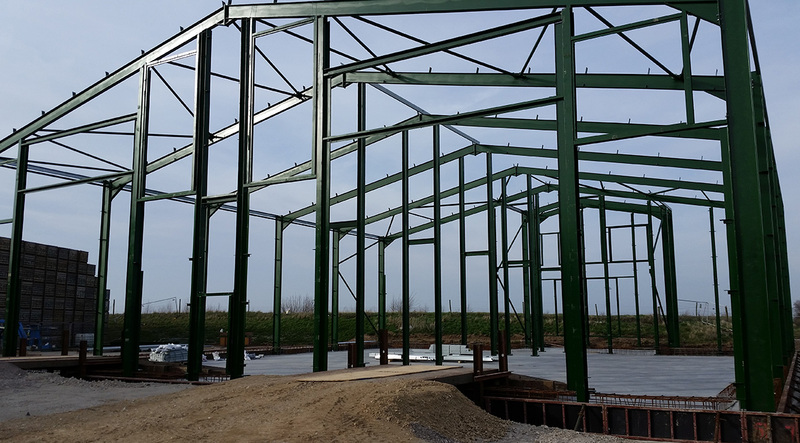 The on-floor grain store required a piled foundation and this had extended the normally expected build time for a store of that size. 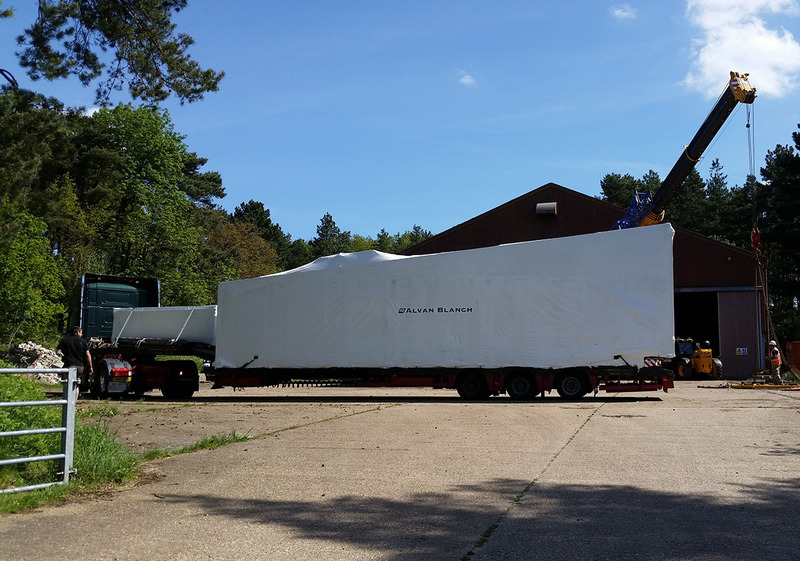 The whole exercise of making a start on such projects as soon as possible and having realistic expectations of the time taken to undertake such a project is therefore really brought into focus. 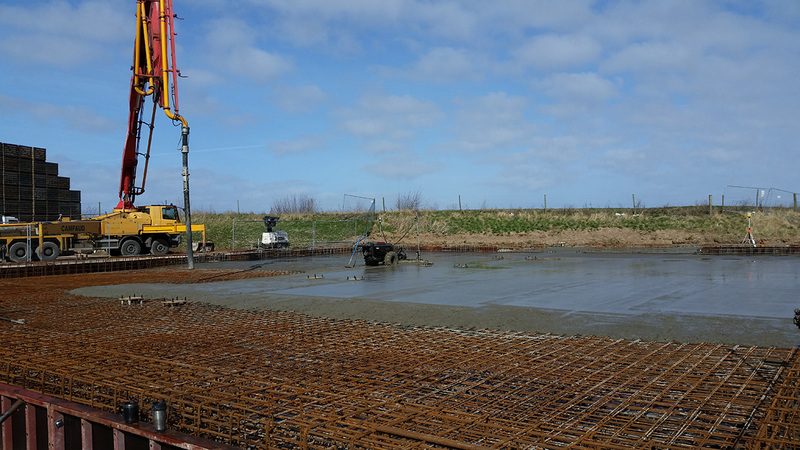 The piled foundation required a thick reinforced base slab onto which was erected the building frame. 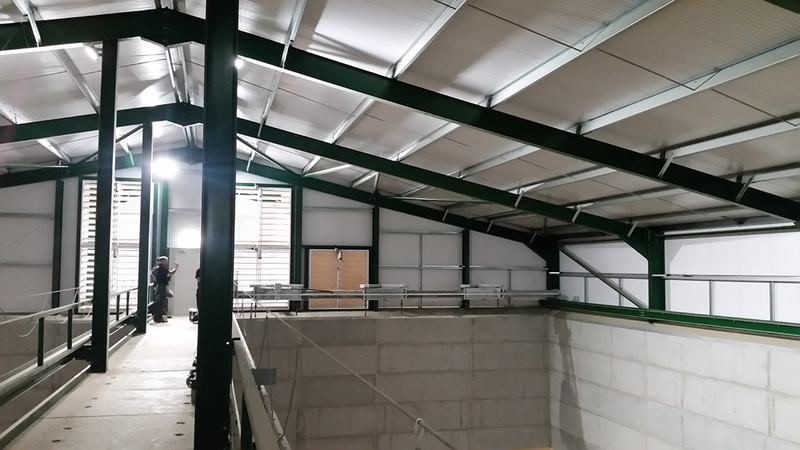 The client’s brief was for drying with ambient air at 4m deep; deeper than is usual without a stirrer. 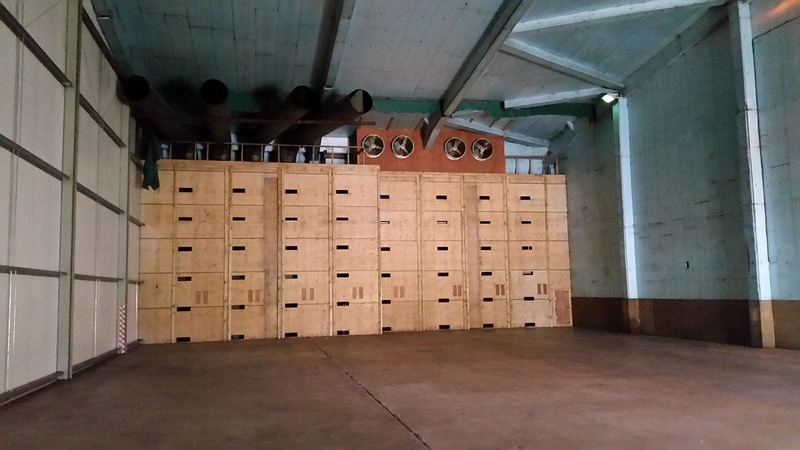 Consequently, a pair of large 1000mm diameter two stage axial fans from Fläkt Woods were chosen which could develop the pressure needed to overcome the crop resistance. 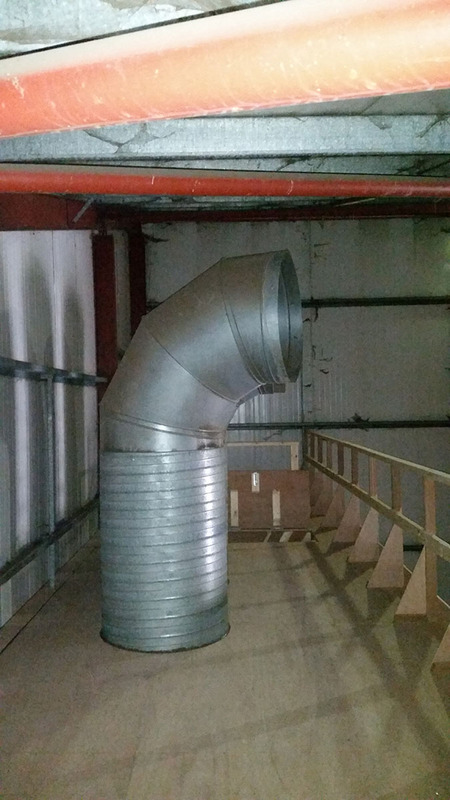 These were mounted vertically onto a Welvent main air duct with a raised fan room. 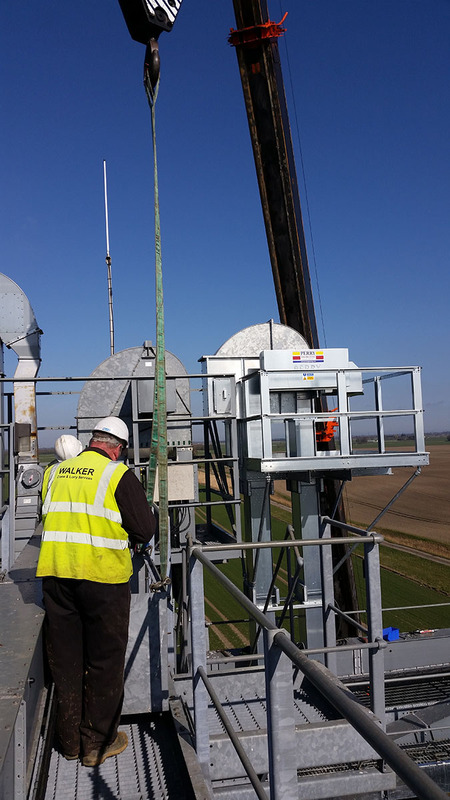 Despite the fenland location of the project, care with the noise output from these fans had to be taken. Therefore, the fans had extra-long silencers and the raised fan room and the fans themselves were clad with noise insulation. 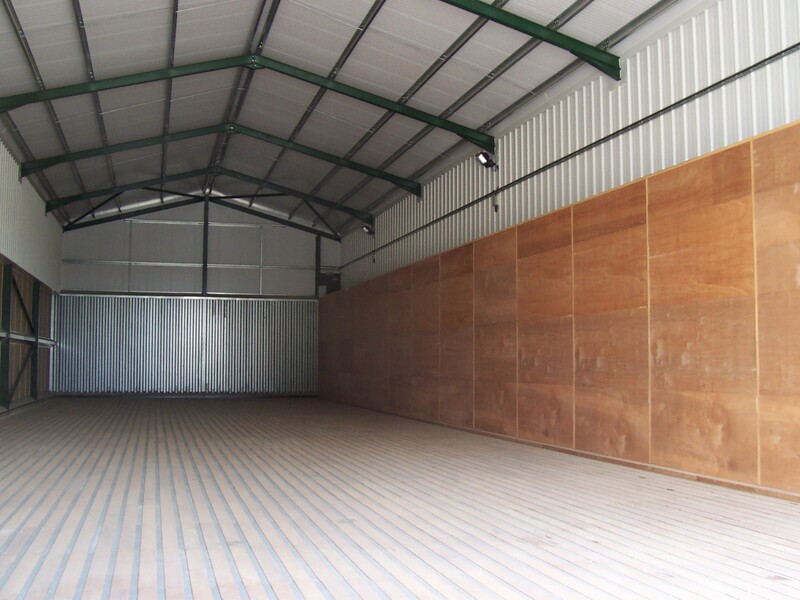 Welvent also supplied the hard wood timber drive over floor. 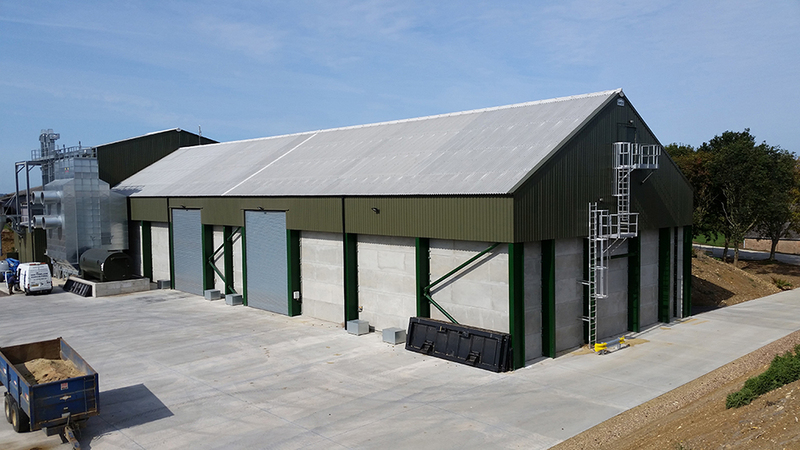 It can be difficult to anticipate changes to cropping and farming practices when it comes to designing and building a grain storage and drying facility. 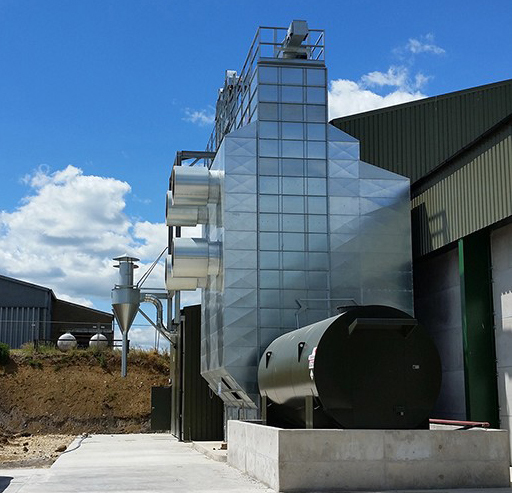 For Eaubrink Farms this has seen the introduction of barley into their rotation. 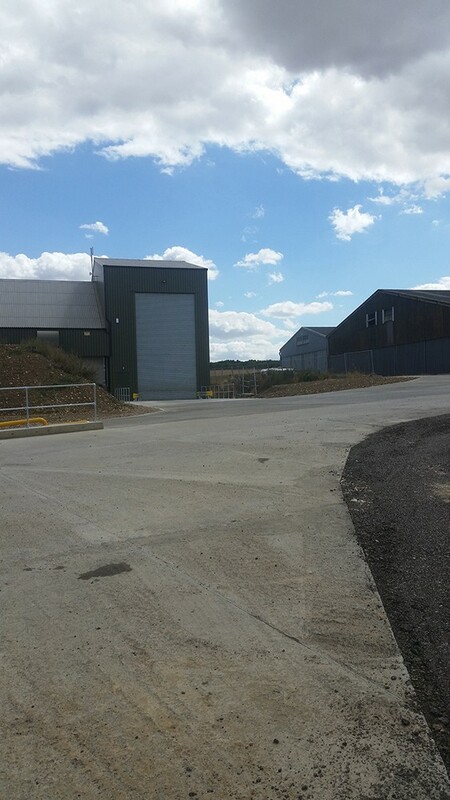 This has meant their 10,000tonne silo storage facility is taking in barley early into the harvest period which is then sold and moved on to make room for the winter wheat crop. 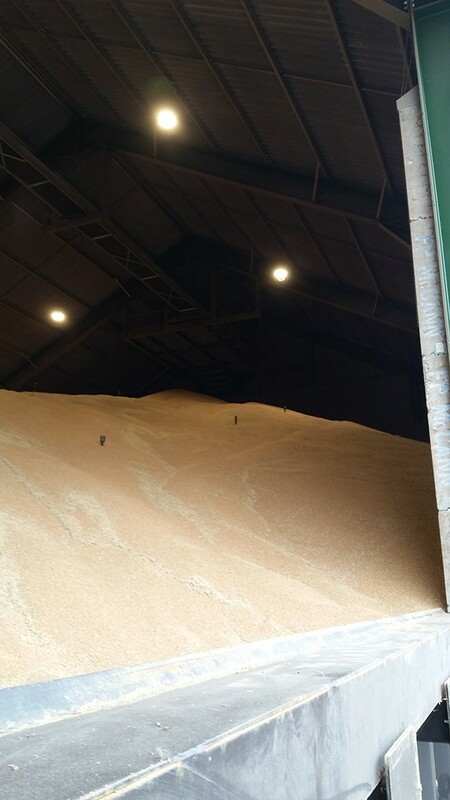 This often necessitates barley being unloaded from a silo when winter wheat is being harvested and needs to be brought in, dried and stored in one of the other silos on the site. 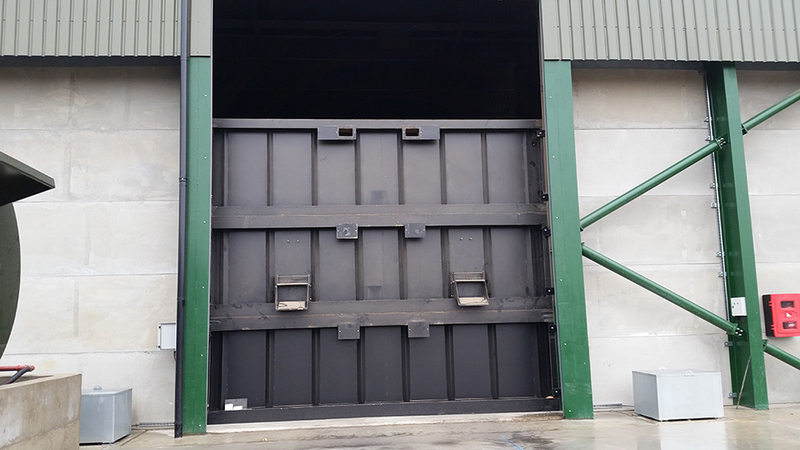 To enable this to take place an additional 100tph Perry industrial specification belt and bucket elevator was installed on the intake side of the system, to allow the existing elevator that loads the hopper wet silos to be used to unload grain from any of the storage silos. 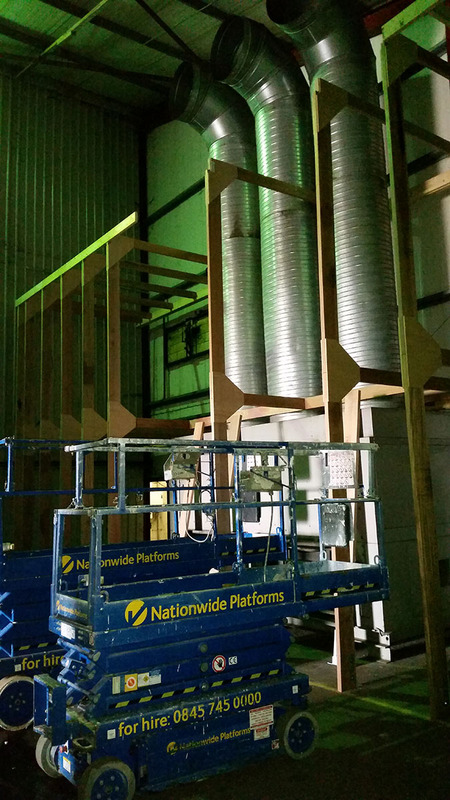 The installation of the elevator required an additional elevator service platform accessed off the existing service platforms and also the catwalk linking the elevator platforms and stairway to the hopper silo catwalk to be widened to allow access past the new elevator. 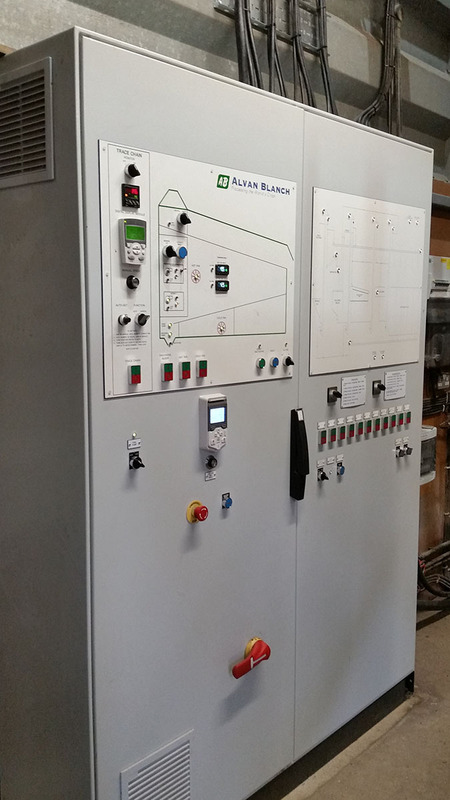 Incorporating the elevator into the system also allowed for an update of the plant and dryer controls with a new 12” touch screen installed into the existing control system. 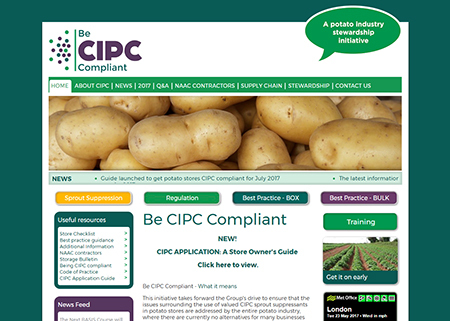 In 2017 CIPC distribution in potato stores became even more critical with the change in label requirements for its use. It is now a requirement for ‘active’ ventilation and this will mean it is important that fans should be speed controlled. 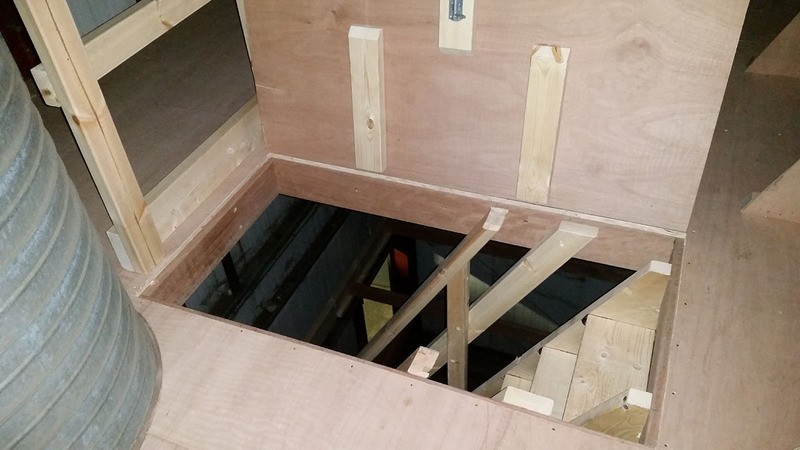 However, box stores will benefit from the use of a timber suction wall where the slots are correctly sized to give the airflow for good CIPC distribution and to match the boxes. 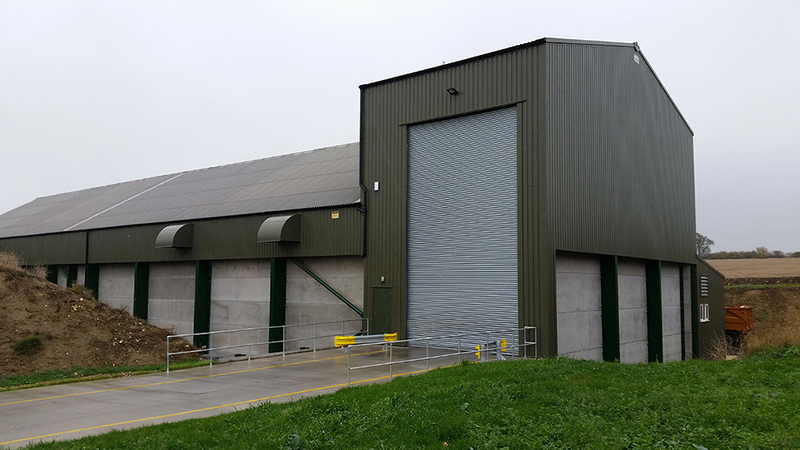 To meet the new requirements Bennett & Co designed and installed two suction walls for a potato box store in the Ely area. 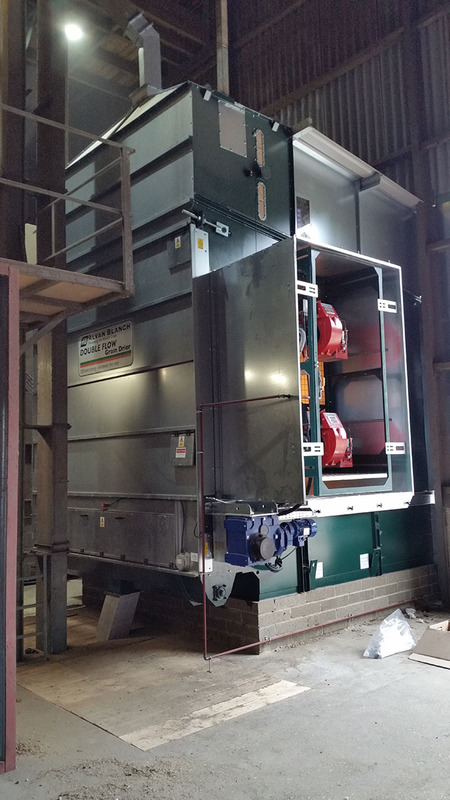 Two new control panels were also supplied containing inverter speed controls for the existing cooling fans. This allows for slow speeds to apply the CIPC and energy saving when it is possible to slow the fans down when refrigeration is in use. 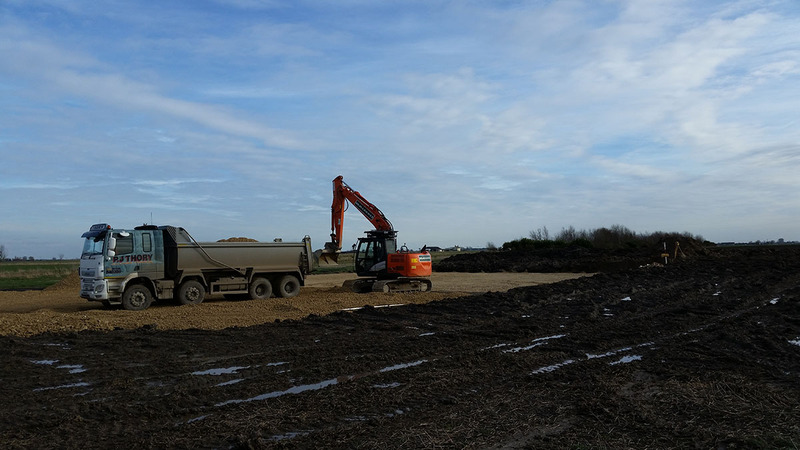 2018 has been a very difficult season all round for potato growers with possible problems of break down in store over the winter. With more ‘active’ ventilation using a suction wall not only will CIPC be distributed better but better control and distribution of airflows around the store can be achieved. 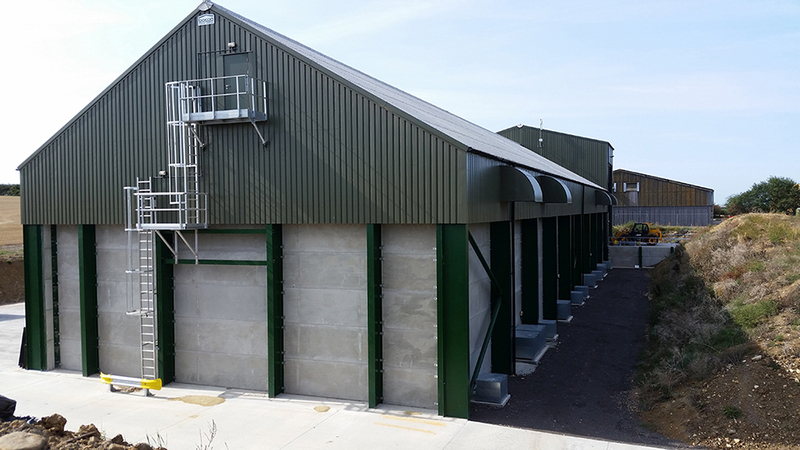 Contact Bennett and Co for advice on upgrading your potato box store’s ventilation and control. 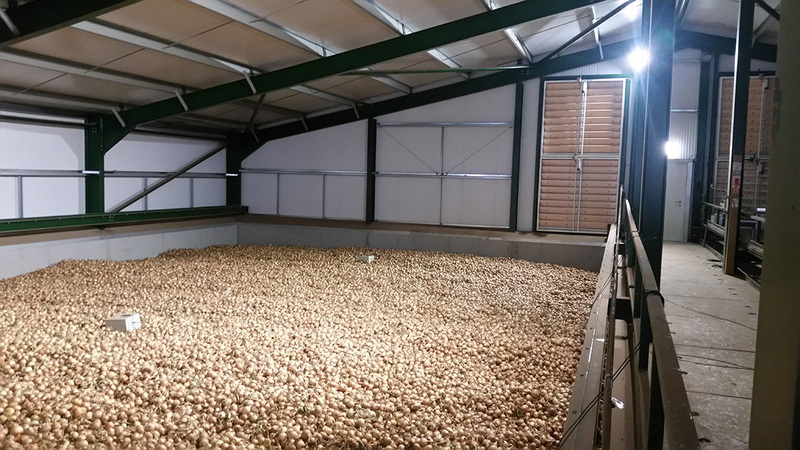 For the 2018 onion harvest Bennett and Co completed a 1700tonne onion store for J S Means (Terrington) Ltd. 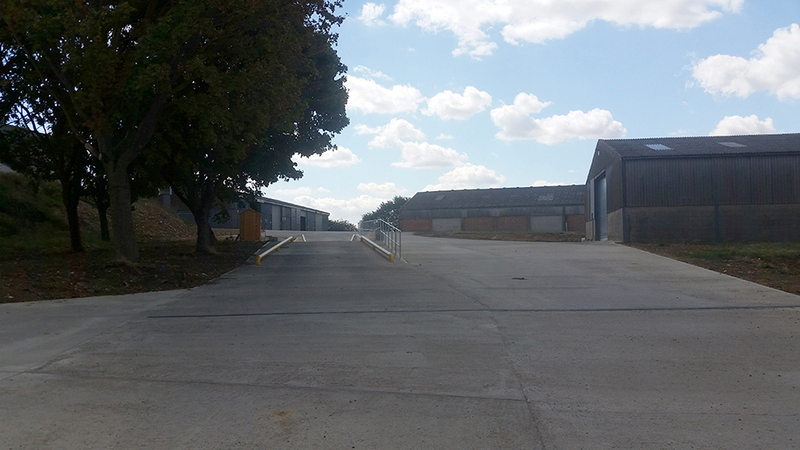 The building is situated on the edge of their existing farm yard and had to be carefully sited to allow for adequate apron space in front of the building for grading, loading and unloading. 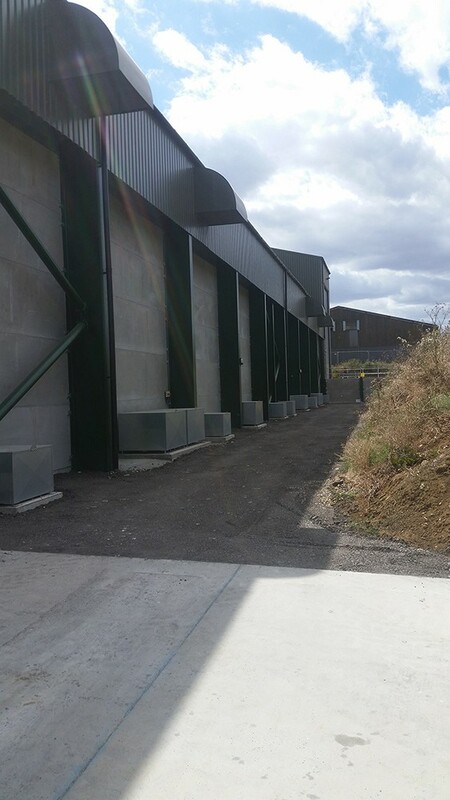 A high tension cable close to the proposed building was buried in a duct and a ditch piped to enable the structure to fit in the site and not compromise the irrigation reservoir behind the building or the client’s existing concrete standing for empty potato boxes. 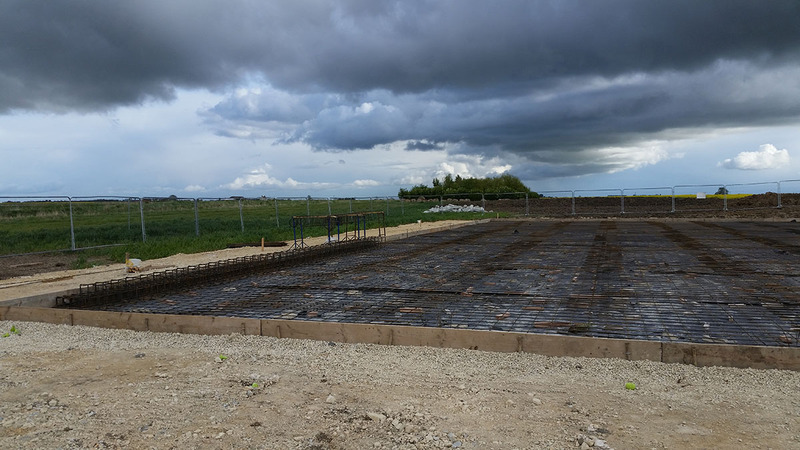 Due to the nature of the marsh soil conditions and a redundant back filled pond on the site, the foundations were piled before a large reinforced base slab was constructed on top of the piles. 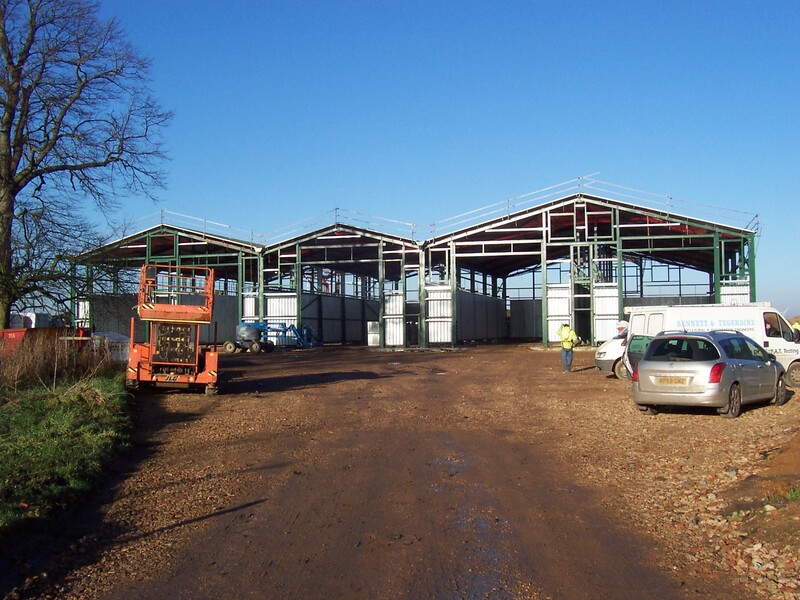 Once this was achieved the steelwork could be erected. 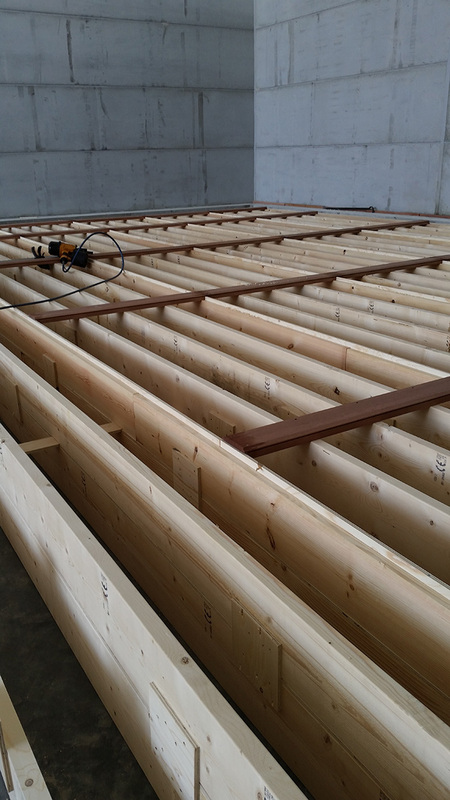 The drying floor is a hardwood deep bearer timber floor supplied and constructed by Flach and Leroy, designed specifically for this type of application with the large airflows needed in the first stage of onion drying. 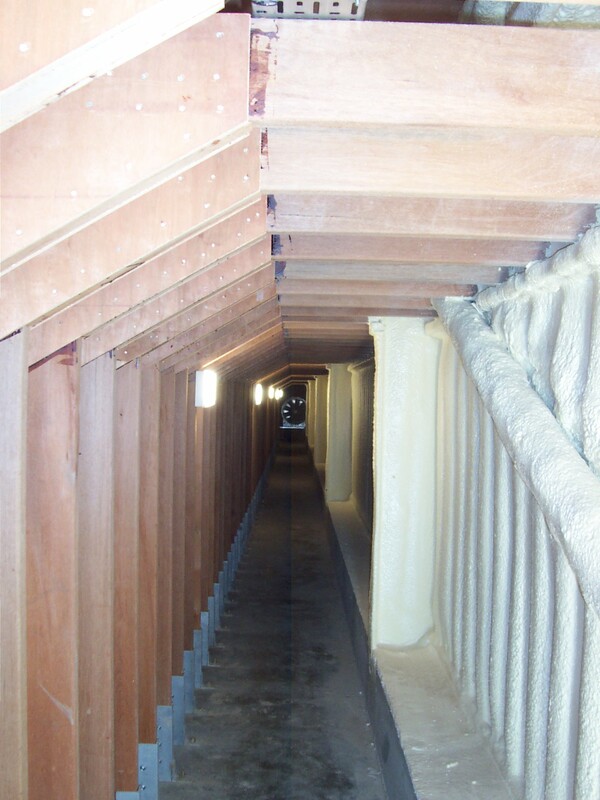 The floor is constructed from a double bearer and the stability of the bearers is maintained by lateral struts along the length of the floor giving an overall height of over half a metre. 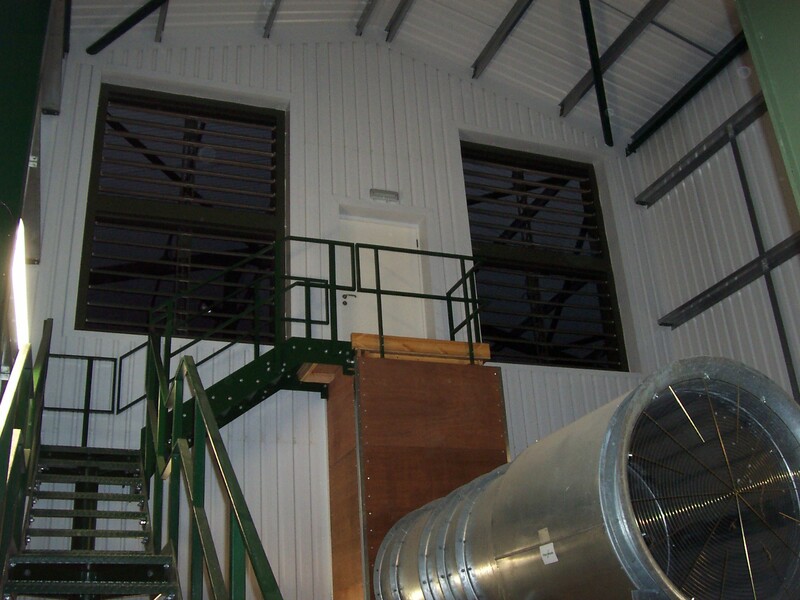 Inside the main air duct there are air inlet doors with stepped wooden blocks allowing the doors to be partially opened to enable further control and flexibility in airflows used. 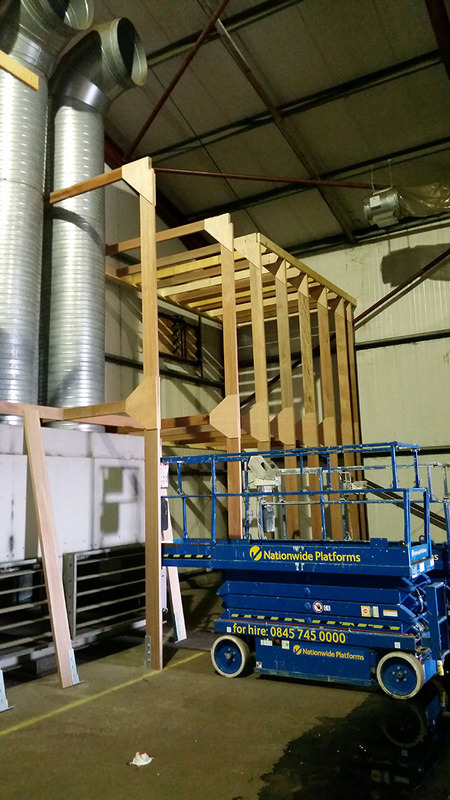 The timber necessitated a large reinforced concrete up stand around it. 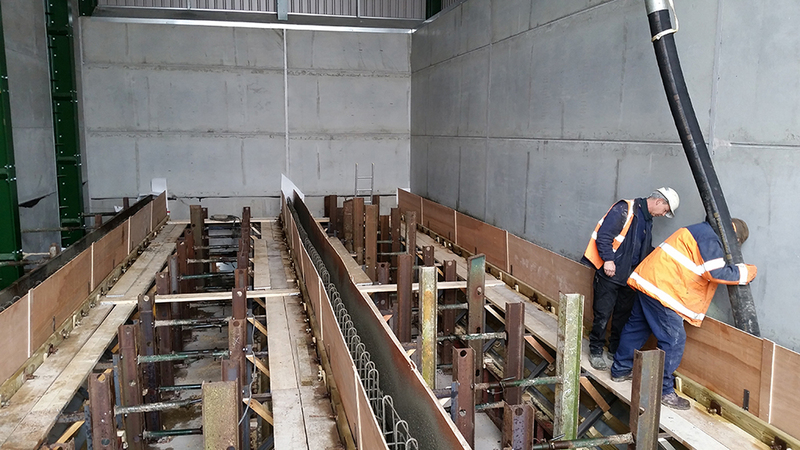 This in turn required two bridges constructed over the up stands to access the building to install the concrete panels for the outside walls, sides and roof of the central main air duct and then the installation of the timber floor. Once this was completed the bridges were removed. 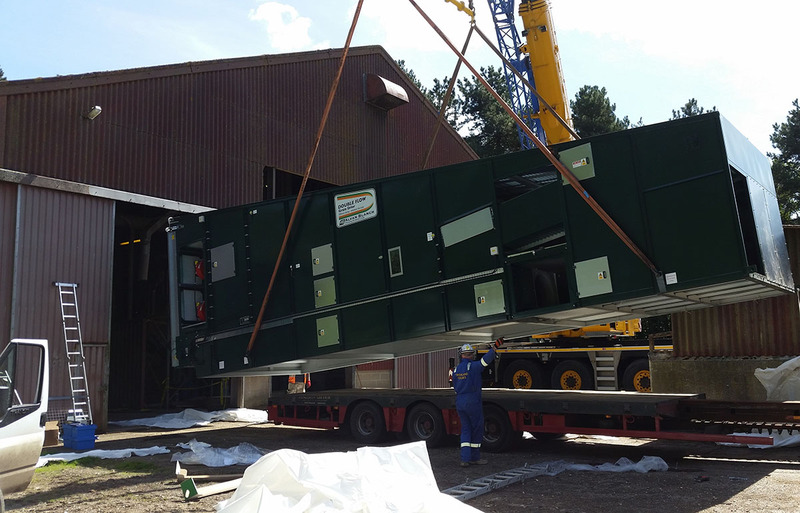 Fläkt Woods supplied three 1400mm diameter fans with guide vanes and large silencers. 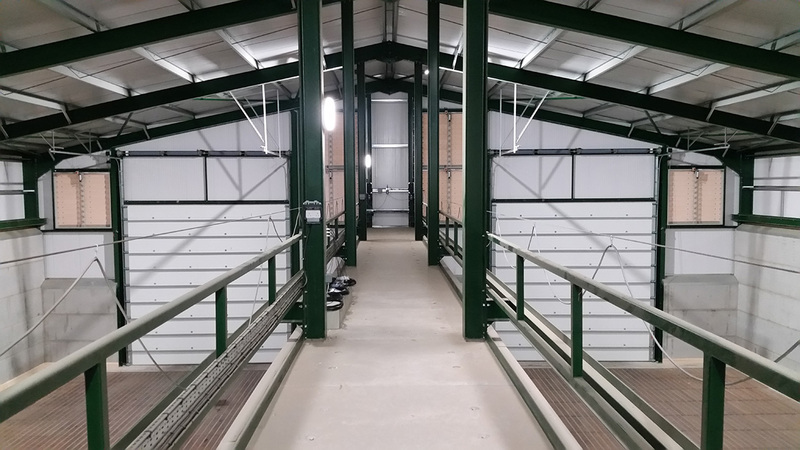 These are controlled by inverters to keep the starting loads to a minimum but also to enable the airflows in the store to be closely controlled by air speed sensors in the crop and an air duct pressure sensor. 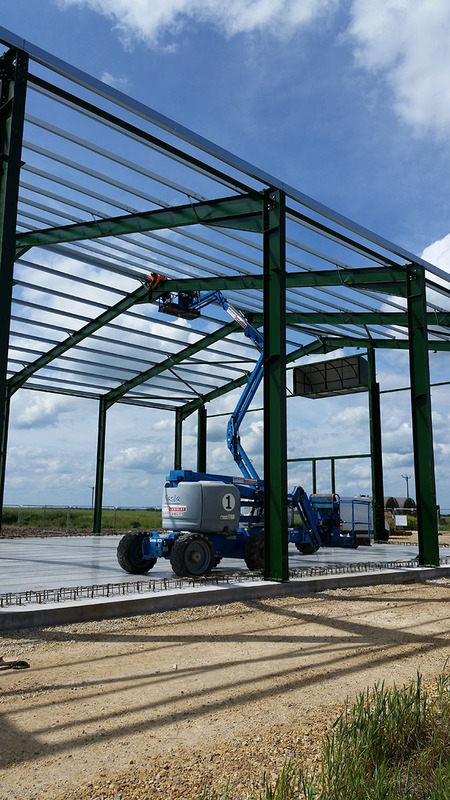 This is achieved by the Vegtec controller which also controls the air mixing louvres and brings in the refrigeration when required for pull down and maintenance of crop temperatures during storage. The controller can be remotely accessed by GSM modem to a mobile phone or computer. 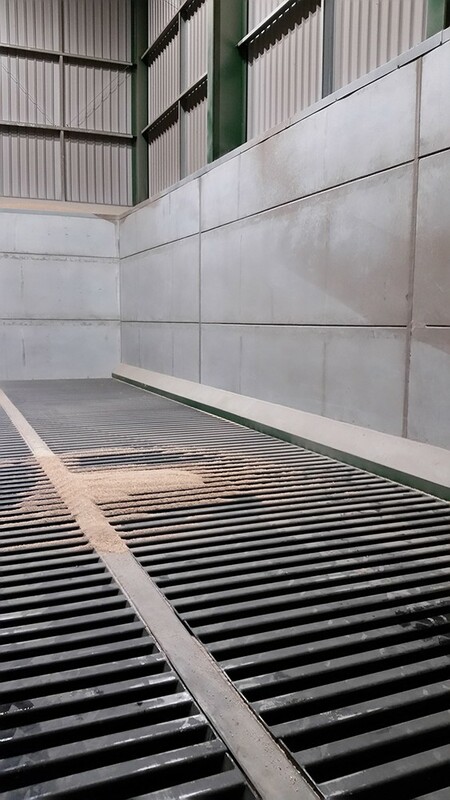 Heat for drying is from a Harvest Installations modulating gas burner that can be modulated for either temperature or relative humidity (used if drying grain). 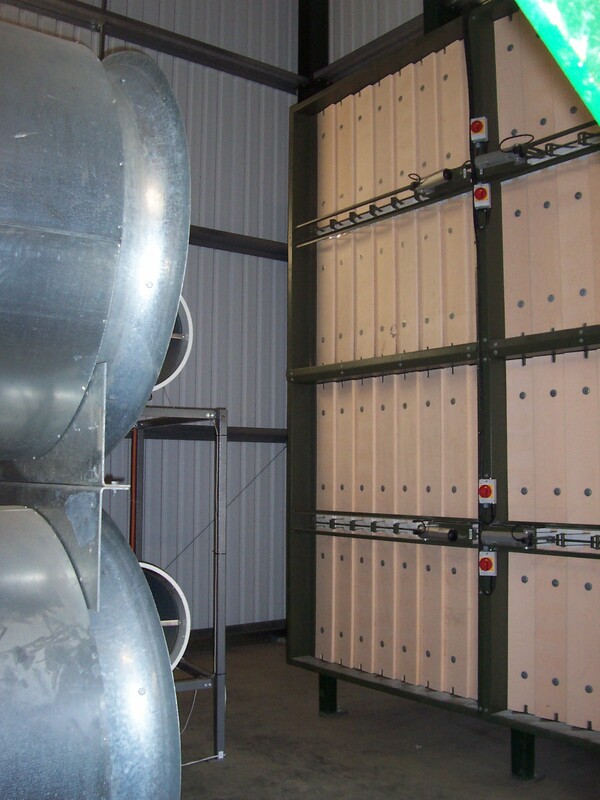 This controls the drying air temperature and with the use of the Farm Electronics motorised louvres the relative humidity of the air is controlled too during the drying phases. 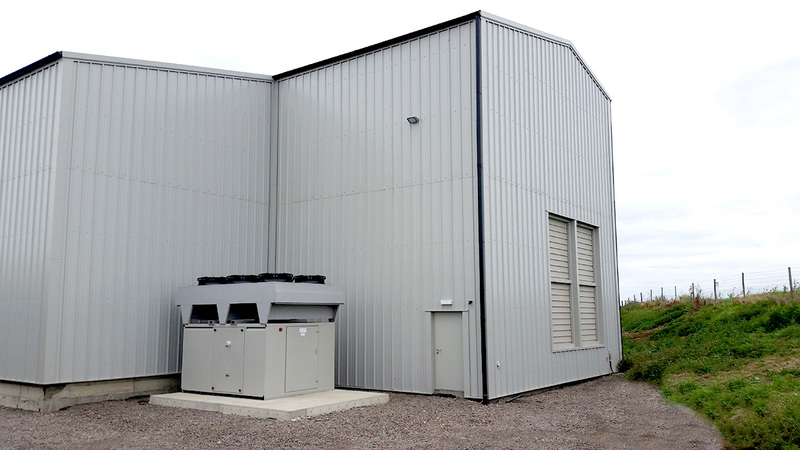 The louvres are also used to provide ambient air cooling and recirculation to bring down and maintain crop storage temperatures along with the refrigeration unit. 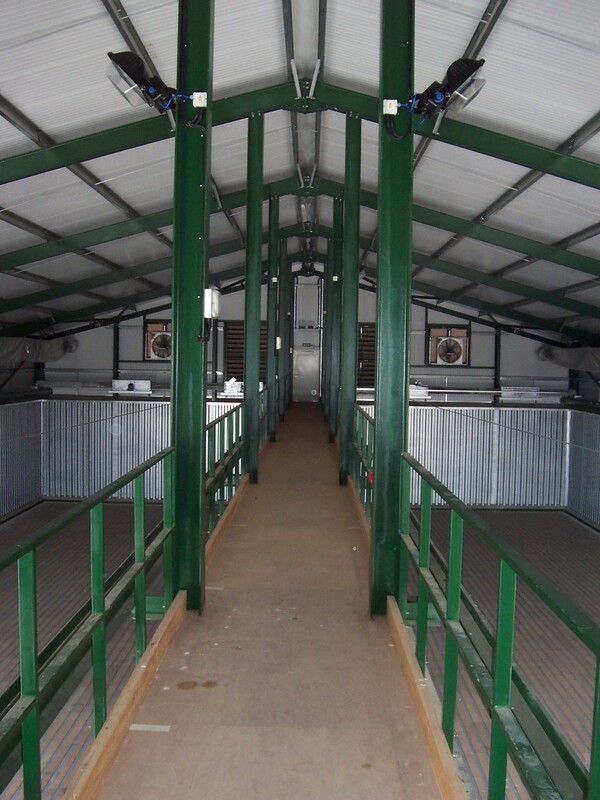 The Farm Electronics refrigeration unit has a large evaporator coil installed into a divider wall in the fan house with its own recirculation louvre to draw air off the top of the crop and into the plenum created behind the divider wall and sucked through the coil by the bottom fan. 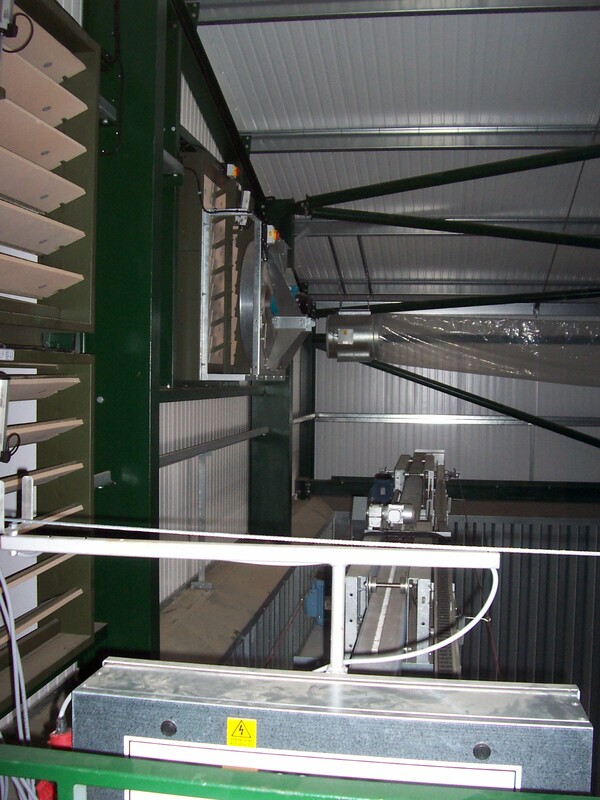 The compressors and condenser coil are put together in a factory constructed box unit with the condensers on the roof. This is mounted outside the fan house. 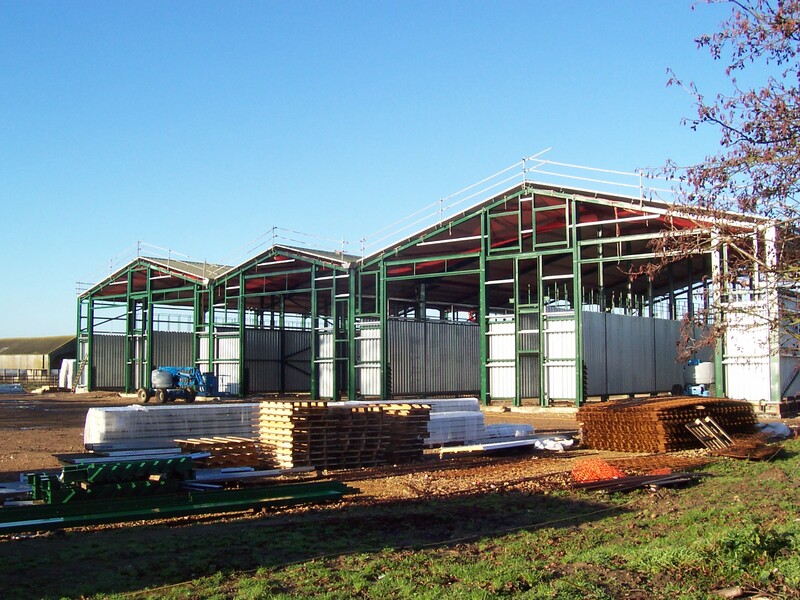 With the need to keep onions near to 0-1ºC the building cladding is insulated composite sheet with plastisol coating, with the insulation 100mm thick giving a U value of 0.2W/m²/ºC. 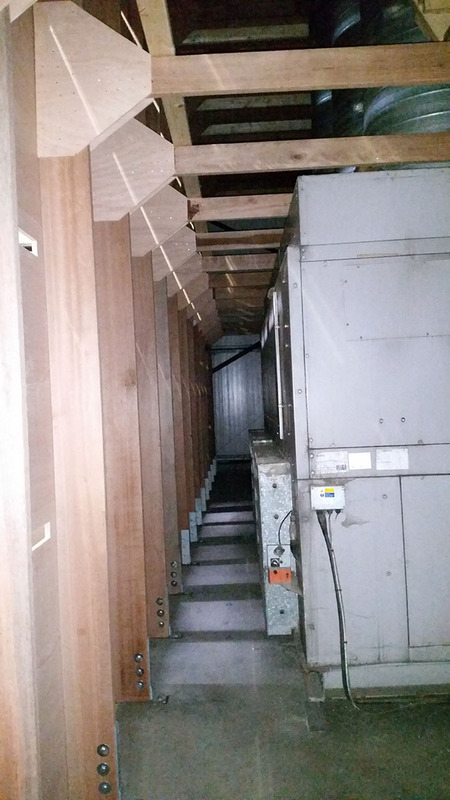 The costs of running refrigeration are such that insulation of this level is economic. 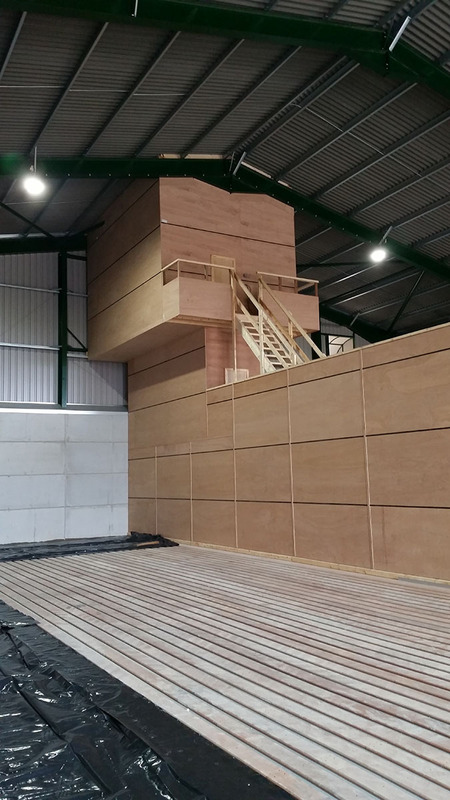 To improve the insulation properties of the building further the client chose to have a door with 80mm thick insulation panels. 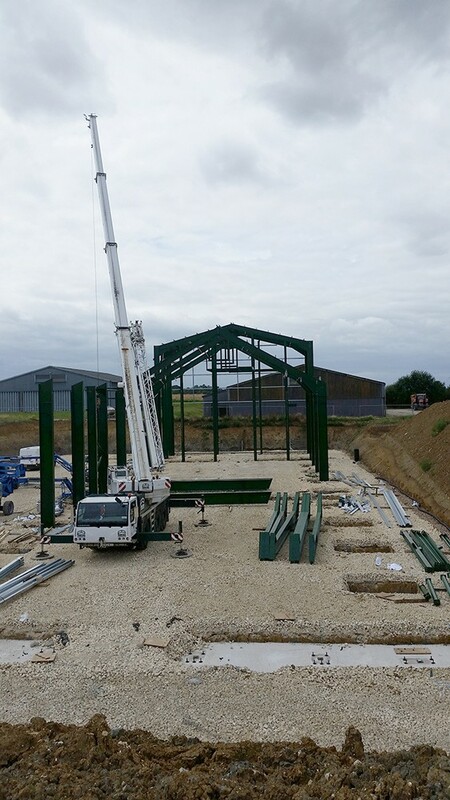 For any new storage projects, Bennett & Co suggest that you visit the new project planning pages on their website which lists a range of things which need to be considered. 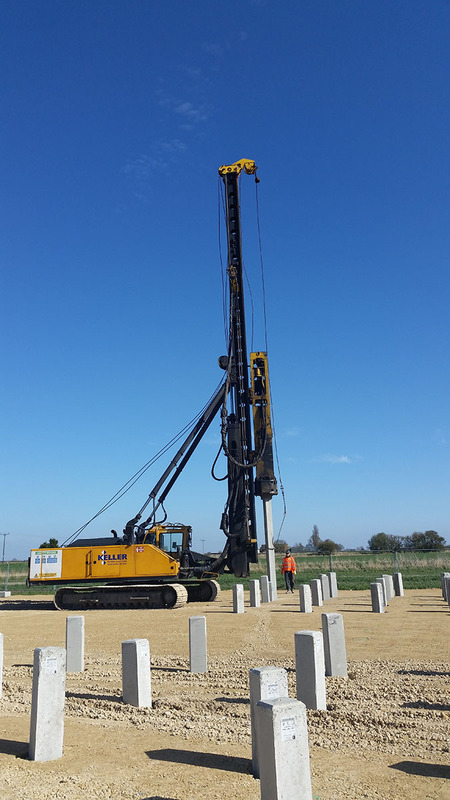 For example, if the proposed site is likely to be on fenland, which traditionally has a low soil bearing capacity, Mike, working with experienced structural engineers, can provide solutions for all your land needs such as piling, drainage, watercourses and ponds. 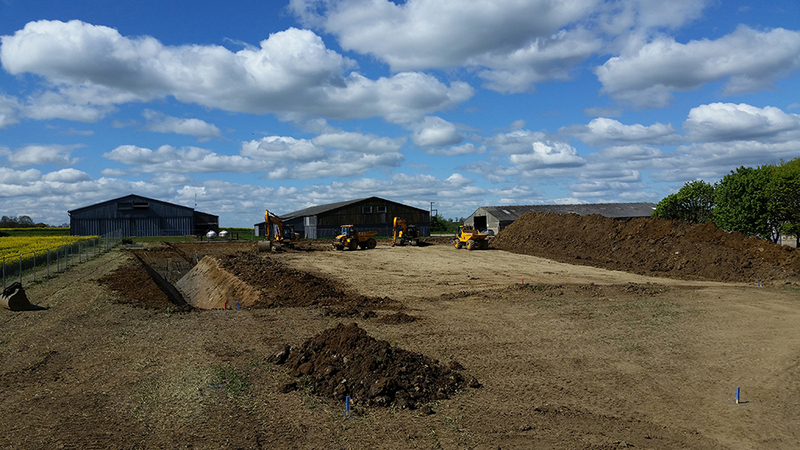 Working with specialist groundwork subcontractors allows the foundations and bases to be well prepared prior to erection of the storage facilities. 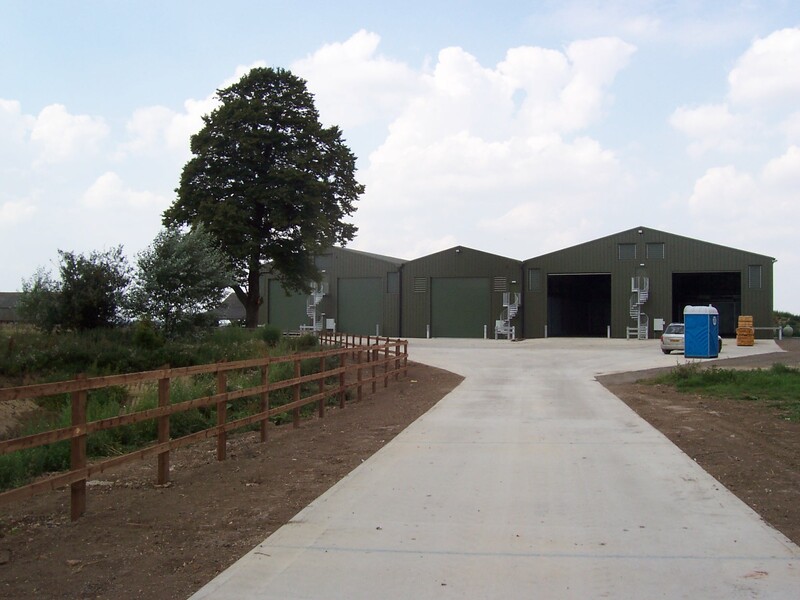 Mike is also experienced in submitting complex planning applications and liaising with the relevant planning authority. 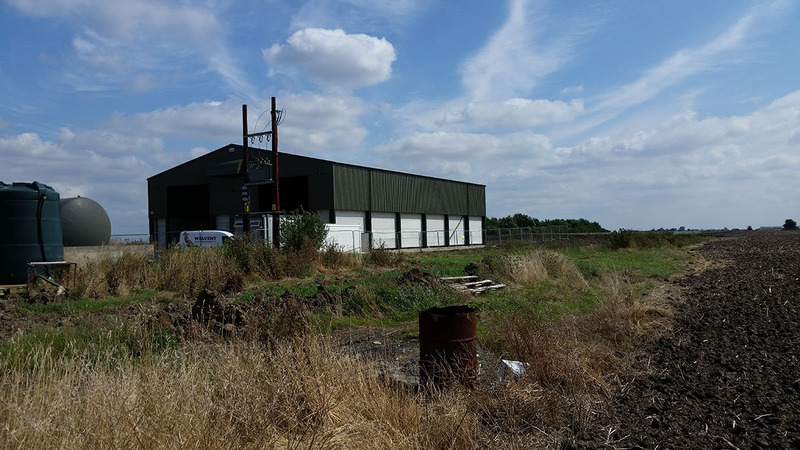 This may well include environmental considerations, such as surveys to minimise impact on wildlife and landscaping the site as well as noise surveys and any potential effect on the local area. 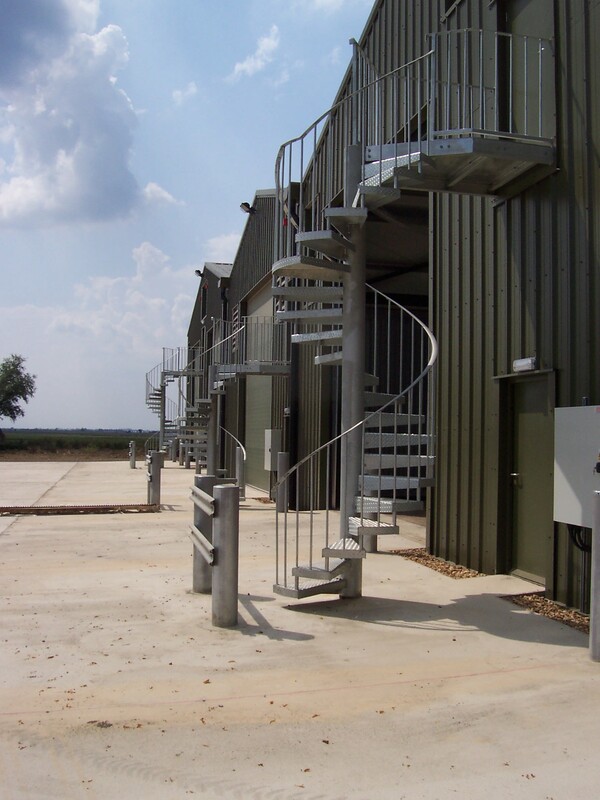 For all your storage needs both new and existing, Bennett and Co can offer a complete turnkey solution. 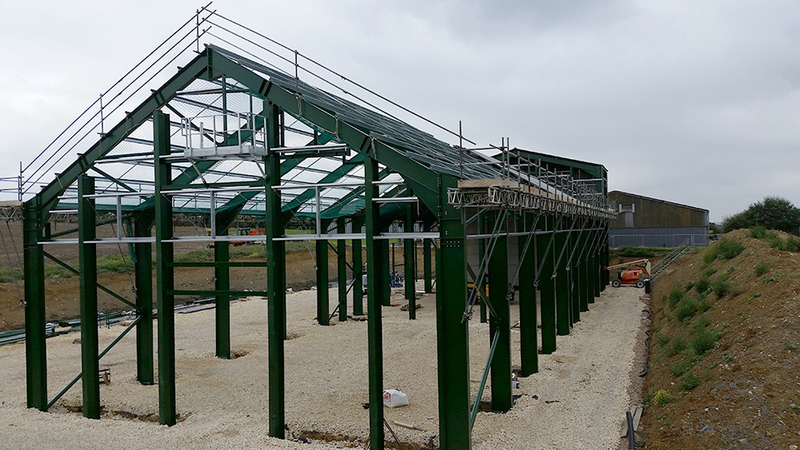 The summer of 2010 saw the commencement of work on a new 4500tonne store for Waldersey Farms Ltd. Their brief was to build a store accommodating three storage areas – one for drying and storage of onions, one for grain drying and one for dry grain storage. 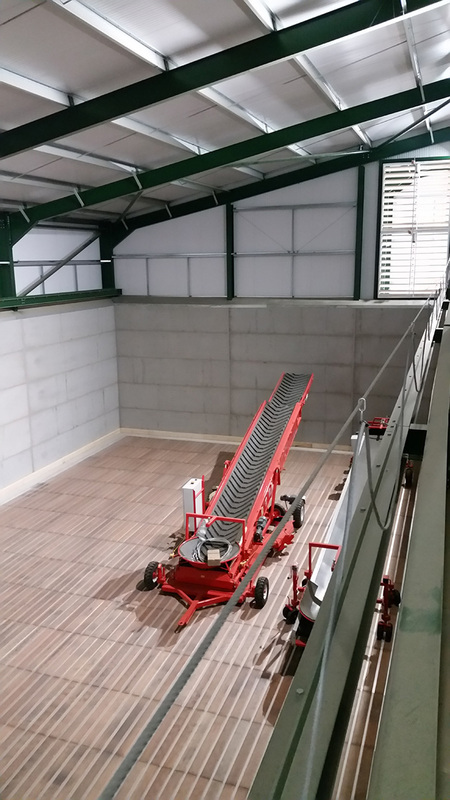 This would provide improved storage capacity and, in a part of their landholding without adequate crop storage, would allow both onion and grain drying. 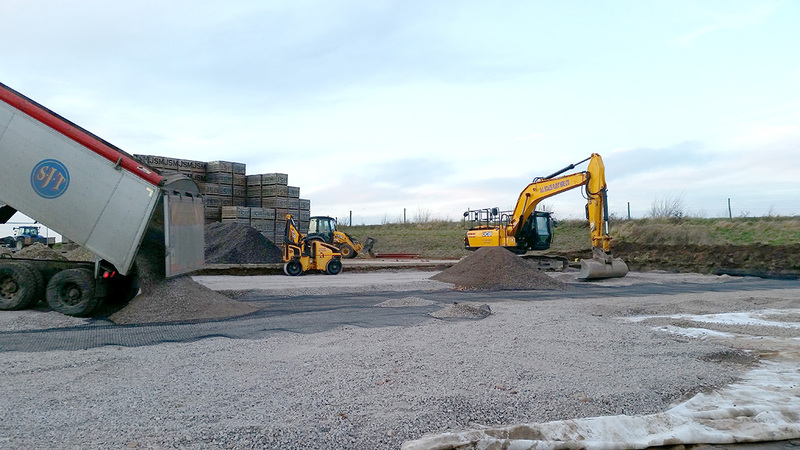 It was to be sited in an existing farmyard and included demolishing existing buildings and recycling the material, as well as backfilling the existing tanks and pits of the former pig unit. 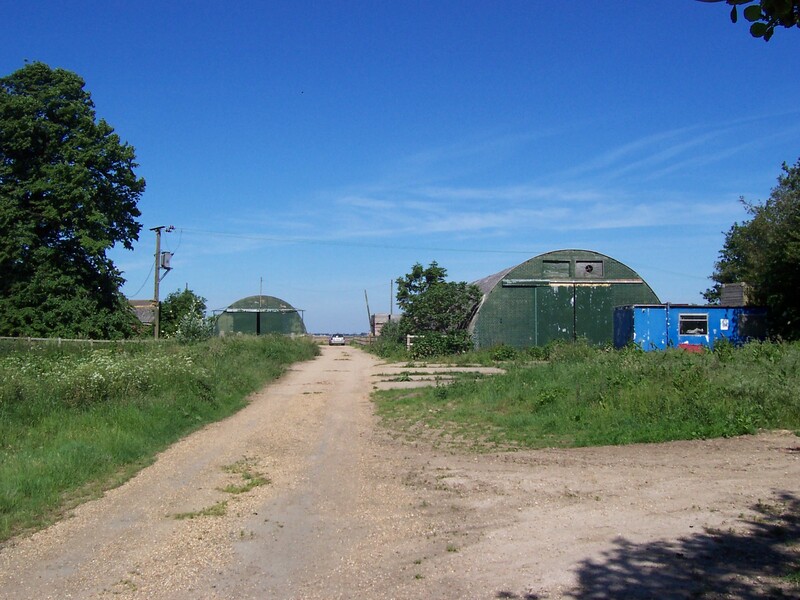 Despite its remote location, particular care needed to be taken with regard to noise levels, as well as a concern about bats in the buildings to be demolished. 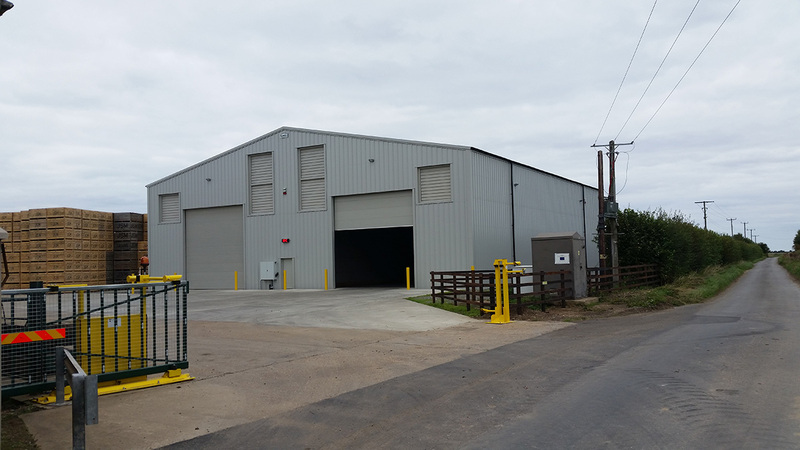 Bennett & Co were appointed as Principal Designer and Principal Contractor, with the remit to design, implement and manage the entire project. 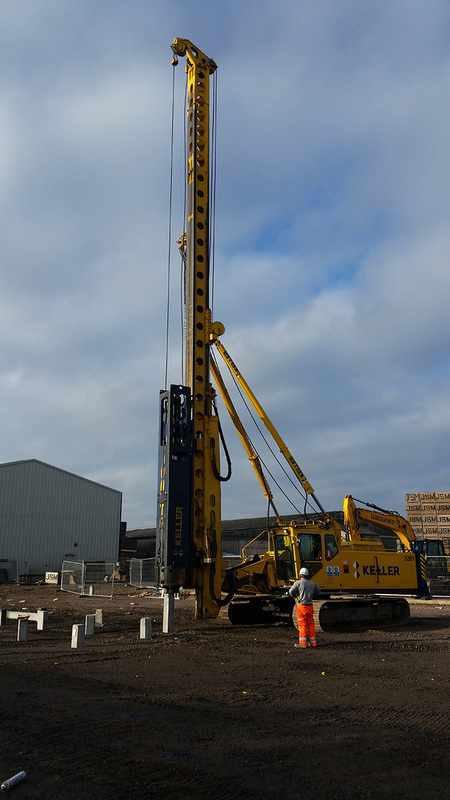 Being fenland, the stability of the ground was an issue and working closely over the design with consulting engineers, Plandescil Ltd, 198 piles were constructed by the specialist contractor Keller using VCC type piles (Vibro Concrete Columns). 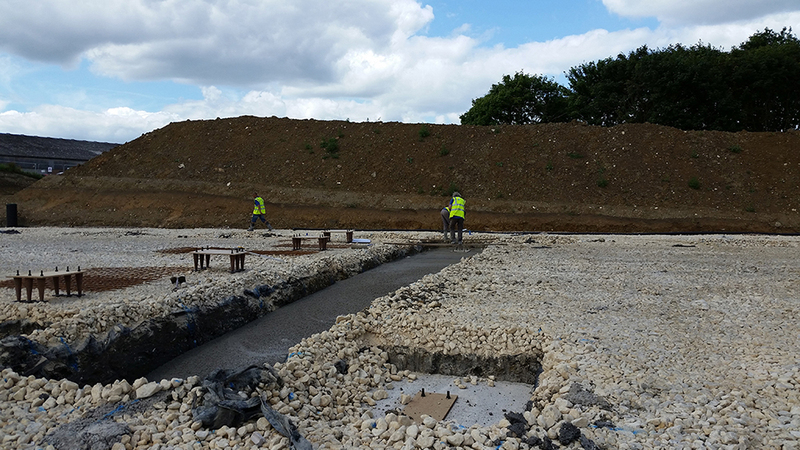 The extensive reinforced concrete slab required was completed by D G Scales Ltd prior to erection of the steel-frame building by A C Bacon Ltd. A hardwood timber floor was fitted in all storage areas by Challow Ltd. 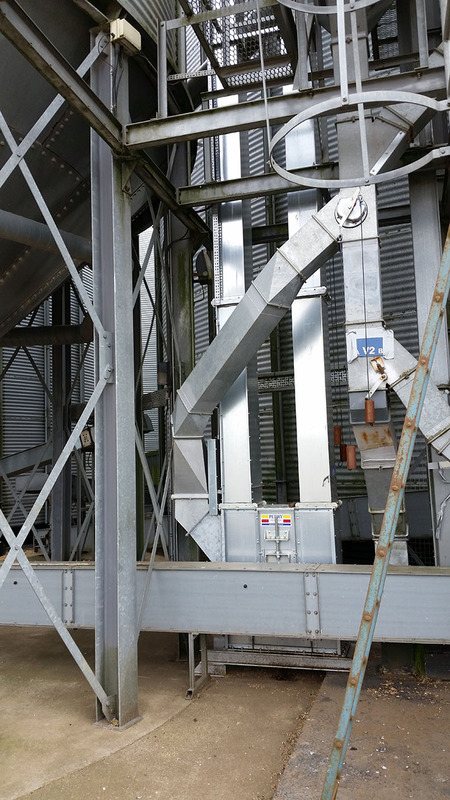 Harvest Installations fitted stirrers and a CHC modulating gas burner in the grain drying store, with a further CHC in the onion drying store. 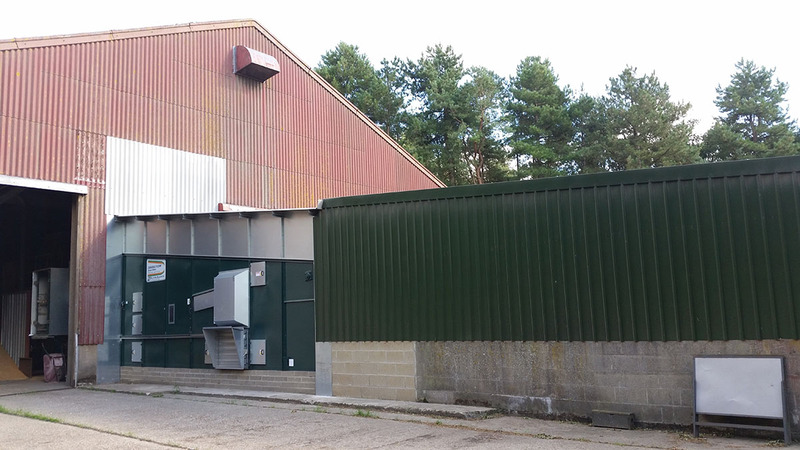 Automatic louvres and a central control panel were installed by Farm Electronics Ltd and the complete store was ready for harvest 2011.